From most hilarious to most controversial, The Kapil Sharma Show seems to be falling in one pitfall after the other. After a series of spats within the team, a far more serious allegation has now emerged – plagiarism. Famous stand-up comedian Abijit Ganguly has accused The Kapil Sharma Show, of lifting one of his more popular jokes. 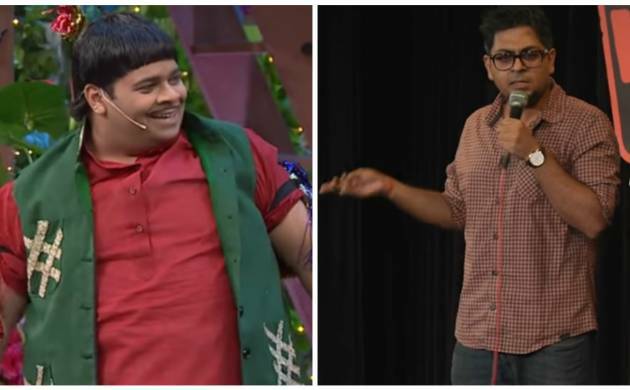 According to a Facebook post by the comedian on Monday, one of cast members Kiku Sharda used lifted his joke on younger brothers making it as fast bowlers in Indian Cricket in the show aired on Sunday. “There I saw Kiku Sharda trying to use my joke (and honestly making a mess of it) while Sidhu and others laughed out in their usual hysterical manner as every cell in my body burnt with rage,” said Ganguly in the post. The comedian explains further on his joke saying that his doubt was further strengthened when he saw Sharda use the example of Kapil Dev and Zaheer Khan being the youngest siblings. “I understand that it’s possible for two people to have the same thought, but this is not that. The fact that right two weeks after I released this bit (which got a decent amount of traction), they just happen to use it while awkwardly trying to use the same examples as premise makes it clear what has happened,” he wrote on social media site. Ganguly shared the link of his comedy show, which he posted on April 9. Check out the joke in question at 3:10. The Youtube video of The Kapil Sharma show which aired on Sunday, April 23, shows the use of a similar joke at 52:15. “A stand-up bit takes a lot of effort to write and fine-tune. As comedians, we strive for originality and after having made all the effort in coming out with a unique observation and building a joke around it, when something like this happens it just deflates you. “No Kapil Sharma, plagiarism is not OK. It is not OK to do this. It is not OK to lift a man’s joke and do it on national TV where millions will now think you goddam wrote that joke, and if I am to ever perform it, it comes off as I lifted it. The Kapil Sharma Show has been marred with controversies ever since its key cast members Sunil Grover, Ali Asgar and Suganda Mishra quit the show following differences with Kapil Sharma.